Can the mood of a society be transformed into music? Can we see human behaviour in the patterns of colours? Can we feel the sun break through the clouds of data? What if art can help you sense the benefits of vaccines? What if a rhythm can save someone from an overdose? Can art help us understand and help us solve real world problems? Recent projects have been concerned with concepts such as; symmetry in nature and music, honor-cultures, neurodegenerative disease and gamification of ideas. 11. Night – looking at night-time messaging and signaling in healthcare (on-goin). Information alone is not enough, therefor Purple White uses artistic expression to improve the information deficit-model. 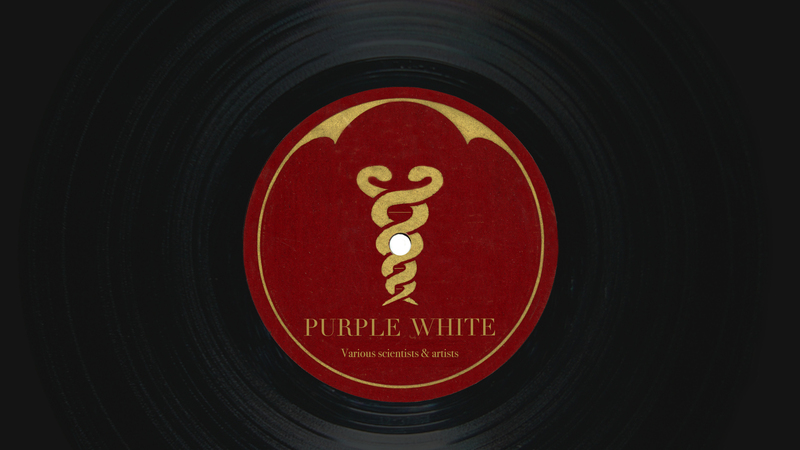 The Purple White is a collaboration between artists and scientists that aims to explore new ways of presenting scientific and medical content using music, art and stories alongside digital and immersive expressions. I believe we can use artistic interfaces with emotional resonance in the communication process, to create meaningful experiences and increase understanding. Science and applied art ought to be functional and aesthetic, to make important messages simple, compelling and beautiful in the process. The Purple White develop solutions for communication challenges, that scientists face. The challenge is to transform the ordinary – or more common forms of communication – into the extraordinary while retaining the intended message. When Gregor Mendel set out to control the process of making his purple pea plants develop white flowers, he founded genetics. The two colours symbolizes the process of combining art and science. The Purple White is part of a growing interest around the world in exploring artistic opportunities within science.